STOOW cord has the same oil and water-resistant features as SOOW and SEOOW, and you can use it in both indoor and outdoor applications. However, it has a thermoplastic (PVC) jacket that is the least flexible of the three options and will deform under extreme heat or pressure. This type of SO cord should be used where it will have minimal exposure to chemicals, oil and extreme temperatures. STOOW is common in consumer applications, portable lights and power extensions. The use of Tray Cable is becoming more prevalent in overhead applications that require lighter weight conduit with increased flexibility and a tighter bend radius. Commonly run in suspended basket tray or ladder racking, Tray Cable has superior UV, moisture, and oil resistant properties. 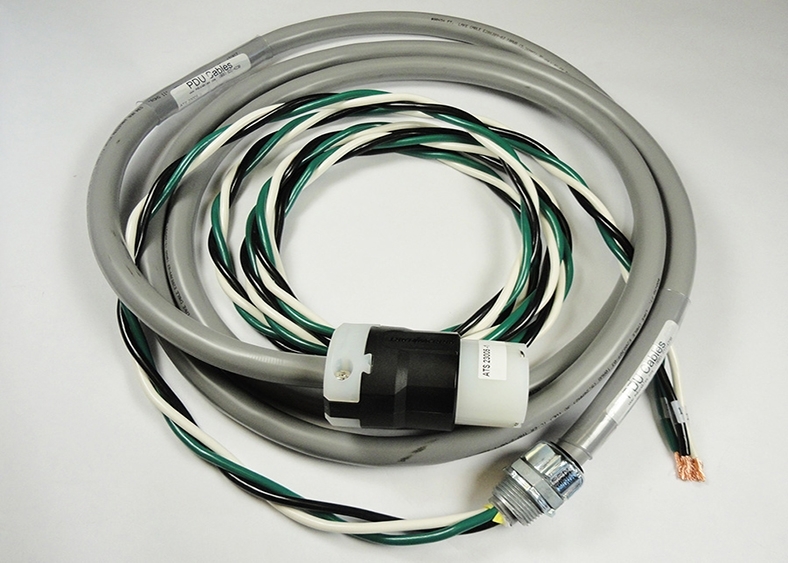 While color options are limited, Tray Cable is label friendly, allowing power path identification with colored conduit labels. UL listing limitations require the use of inline devices only. Type TC – Tray Cable – (NEC Article 336) –Power and control tray cable, Type TC, is a factory assembly of two or more insulated conductors, with or without associated bare or covered grounding conductors, under a non-metallic jacket. TC cables are rated for 600 volts and can be used in industrial power or control circuits, where flame retardant cables are desired. 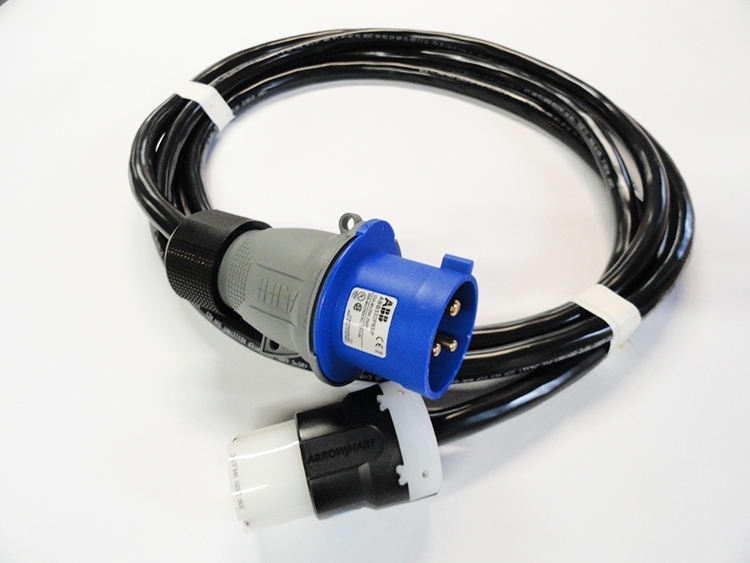 Allowed installations include cable trays, raceways, and outdoor locations where supported by a messenger wire. 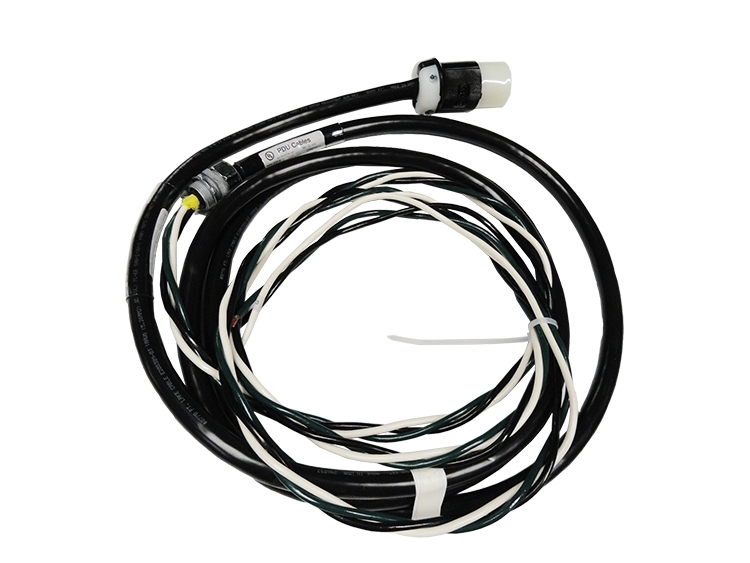 Tray Cable is UL listed for use in Class 1, Division 2 hazardous locations, and Class 1 control circuits. If identified for such use TC cables may be also be used for direct burial. In industrial establishments where conditions of maintenance and supervision ensure that only qualified persons will service the installation, the cable is continuously supported, and is protected against physical damage, type TC tray cable that complies with crush and impact requirements (type TC-ER cables) are permitted between a cable tray and the utilization equipment or device. The cable must be secured at intervals not exceeding six feet. Tray Cables are not permitted to be installed outside of a cable tray system or raceway with only two exceptions (1) in outdoor locations supported by a messenger wire. (2) Where not subject to physical damage, Type TC-ER cable is permitted to transition freely between cable trays and between cable trays and equipment for distances up to six feet without continuous support. Following are a few photo's of different Tray Cable (STOOW) Assemblies.